Howdy howdy all you Wow Us Wednesday party peeps! 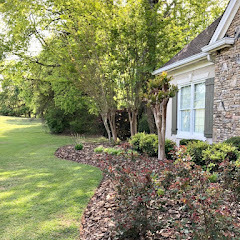 I am so glad you are here and can't wait to see what you have to share, but first let's look at some highlights from last week. 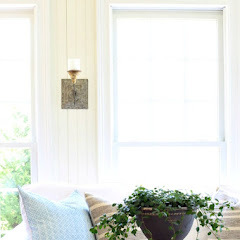 Also don't miss out on a $50 gift card to shop the daily steals at Decor Steals. You can still enter HERE, but hurry it ends Wednesday night. Do you go dumpster diving or rummage through someone else's trash? Well, just look at this fabulous chandelier that Let's Add Sprinkles found in the trash, fixed it up, and hung it in her bedroom. 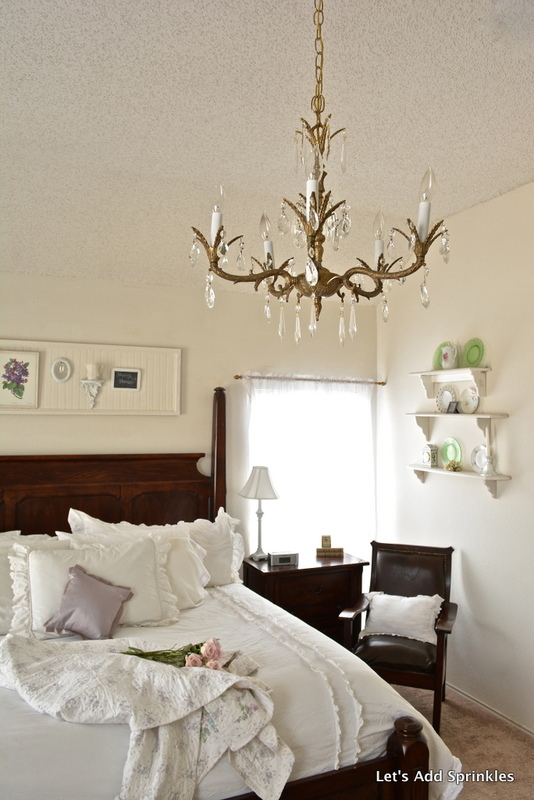 Here is another beautiful master bedroom reveal by Vintage Finds. Find out how easy it is to to embellish some chairs like Tidbits and Twine did. Little Putty Little Paint bit the bullet and painted this wonderful island. Be sure to check out the before and where it came from. 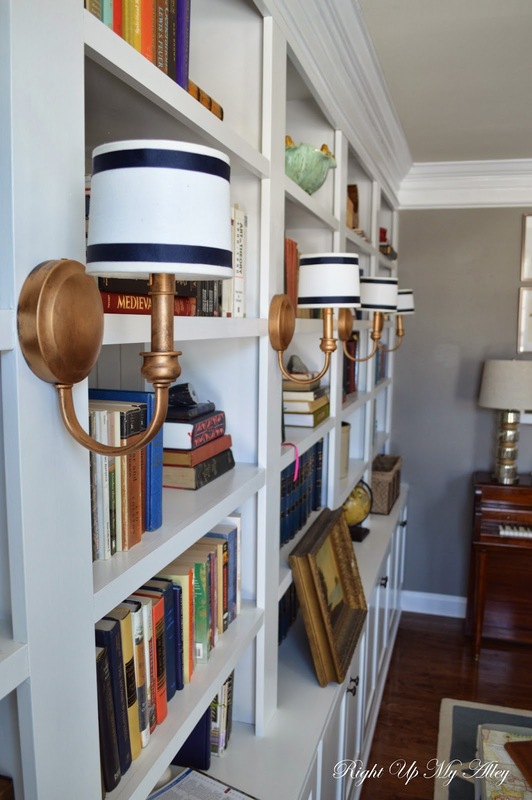 Right Up My Alley shared how she updated these sconces in this pretty library. 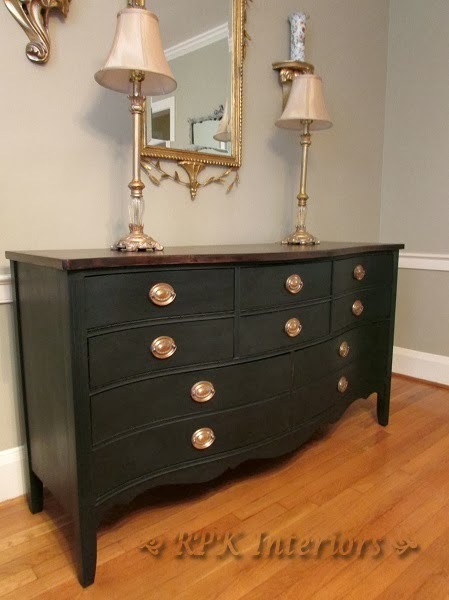 This dresser went from drab to fabulous in black. 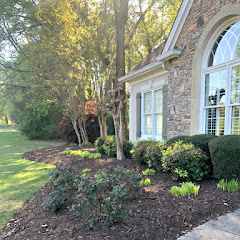 See the before at RPK Interiors. I think most of you have heard of the new app called Waterlogue. If not don't even try it because it is quite addictive! Richella of Imparting Grace took it a step further and framed a picture of her home. She shares step by step how to create your own framed print. This is such a great idea. Thanks to everyone who joined and if you were featured please feel free to grab a featured button from my sidebar. Now let's get on with the party! 1. Please have a separate link to this party in your post (not linked to a mass link page) or add my party button from the sidebar to the post. If there is not a separate link you will not be featured and/or could be deleted. I am hopefully bringing you traffic and I would appreciate the same. If you find your link deleted just add a back link or my button and try again. 2. Please don't link the same thing you linked last week. Only new links. 3. Please be a follower of this blog through GFC. 4. No advertising, etsy links, or link parties. Thanks for hosting your fun party Kim. You are the hostess with the mostess. Thanks so much for hosting Kim! Great inspiration Kim. Thanks for hosting! Wonderful features as always...love Richella's "watercolor" of her house!....Thanks for hosting Kim. Wonderful features....thanks so much for hosting the party! Great features! I'm in love with those chairs and that chandy! Thanks for hosting! Thanks for the party, Kim! Have a wonderful evening! Great features Kim, I adore those chairs! It's been a while since I've been able to make it to your party - thank you for hosting! That kitchen is gorgeous!! Thanks so much for hosting, Kim! Great features, Kim, and thank you so much for hosting each week! Thanks for another great party Kim - always find such inspiration here! Always love your party, Kimmie, and thank you for hosting! Thanks so much for hosting! Have a great night! great features! thank you for hosting. Love the gorgeous bedrooms you featured! 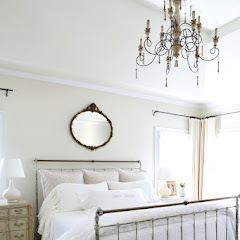 My master bedroom is on my list for a makeover this year and I'm always looking for inspiration! Thanks for hosting each week! Thanks for hosting us, Kim! Thanks for hosting Kim! Those are some great features that I need to check out! Thank you, Kim, for the feature. I'm thrilled. I am so glad I didn't have to dive into a dumpster. Haha. Have a great week and thanks for hosting. 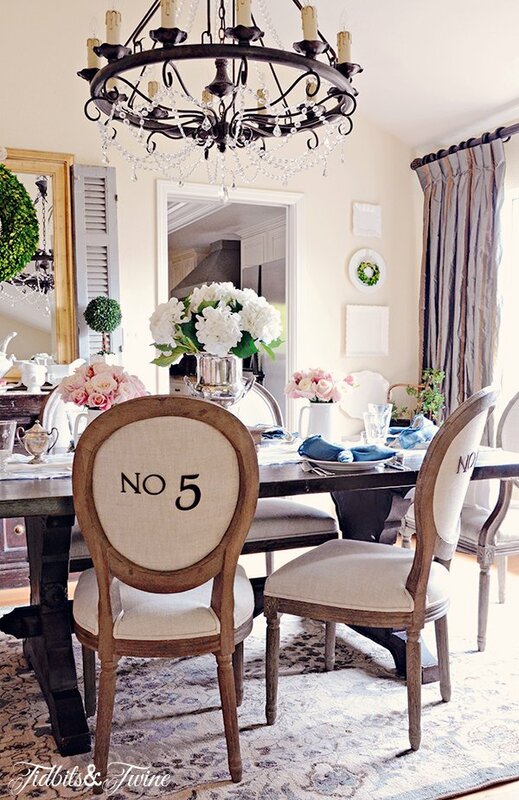 I adore those numbered chairs! Great features! Thanks for hosting! What a gorgeous and yes, fabulous chandelier! All of your features are always great. Thanks for hosting! Fabulous features! Thanks so much for hosting, Kim! Thank you so much for the feature and for hosting such a wonderful party!! I am going to have to try that watrecolor app, I LOVE Richella's framed print! Great features. Thanks again for hosting!!! I've admired your style for so long and am so appreciative of the feature! Thank you so much, Kim! Kim, Thank you so much for featuring my master bedroom this week! WOW what a party Kim! always great features and I love linking up! Thank you for hosting!! Wow, that chandelier is amazing. And I love that island. Thanks for hosting, Kim. Hi, Kim! So glad to be partying with you this week! Thank you! Wow Kim, What beautiful rooms! Thank you for sharing and hosting such a fun party. Have a fantastic week. Kim, you know how to throw a party! Thank you for featuring my library sconces as one of your highlights. I can't wait to see more of these inspiring ideas. I love dumpster diving! I post every week the great stuff I find but I have never come across a chandelier! What a great find. I am amazed every day what people throw away! Thank you for hosting such a lovely party. Great features, Kim. Love Katie's chandelier! Thanks so much for hosting! Hey Kim, thanks for hosting again, and having a venue for us all to join in. I love RIchella's watercolor (next best thing to the painting you've got!). All of these look great....off to explore now. What great features. Thank you for hosting! 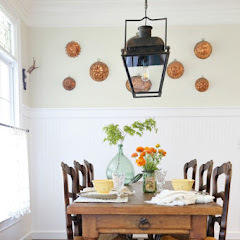 I'm sharing my chippy shutter in the dining room today! Great linky party! Love the numbered chairs. Gorgeous. I love all your featured selections. 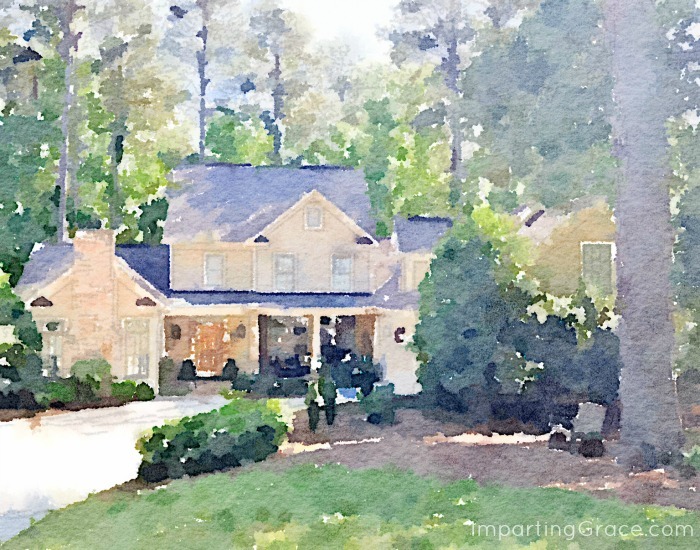 Kim, what a lovely surprise for me to see that you featured my watercolor home portrait! Being included in a list of features here is such an honor--you attract the best of blogging at Wow Us Wednesdays! Thank you so much. Hi Kim, lovely features! Thanks for hosting the party. Thanks for hosting, Kim! Beautiful features. Love all the room inspiration! Thanks so much for hosting, Kim! Hope you're enjoying a beautiful day! Thanks for hosting, Kim! Happy Wednesday! Thank you for this lovely party!! Great features, Kim. Thank you for hosting every week rain or shine! I'm still thinking about how good you looked in your anniversary post. With all these inspiring links your blog is fast becoming a great resource. 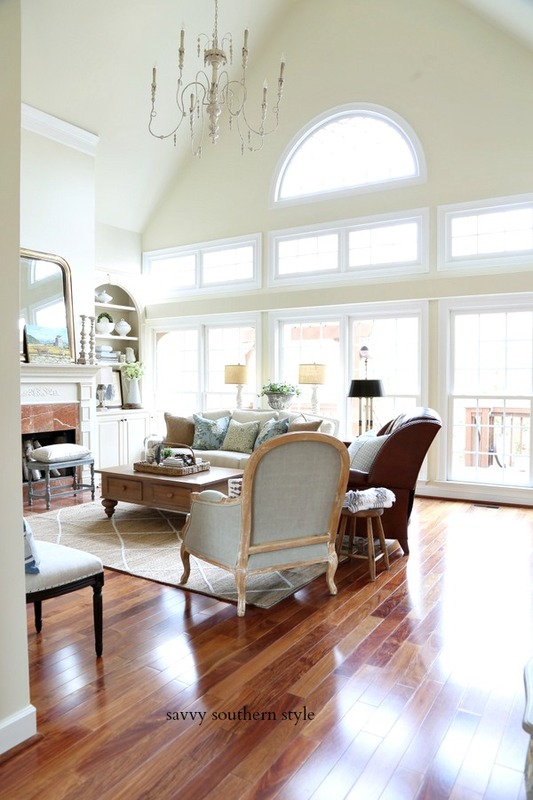 I cannot believe how many beautiful homes are out there that probably don't get featured in interior magazines but are well deserving of them. Thank you again for allowing us to link up this week. Now I want to go dumpster diving for chandeliers!! Great features, Kim! Thanks for hosting again this week! Kim I am off to check out all of your features as well as to check out some of the links already posted. I always find the best recipes and crafts here.